Contact us, to get the Wet Processing Cabinets of the premium quality within your budgetary limits. We are the renowned entity in the domain of manufacturing and supplying the Wet Processing and Cleaning Cabinet across India. At our facility, only the best of materials and technology are utilized to comply with the best applicable standards. Also, we welcome the bespoke orders. 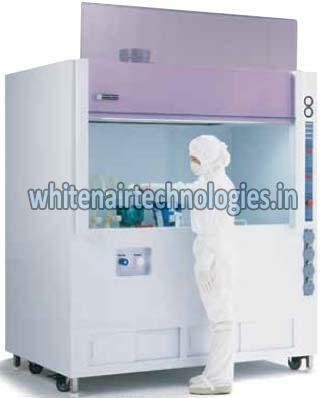 Our self contained Wet Processing Cabinets are ideal for a wide range of cleaning and processing equipments. Standard models include a reinforced cabinet of specified size and material a sliding access shield, and a fluorescent light. A raised lip surrounds the work area to contain spills and a full length plenum sink located under the deck contains overflow for easy disposal. A control panel mounted to the side of the deck provides safe, convenient access to all system controls Filter Blower module provides a vertical laminar flow of HEPA Filtered air for particle-sensitive application.